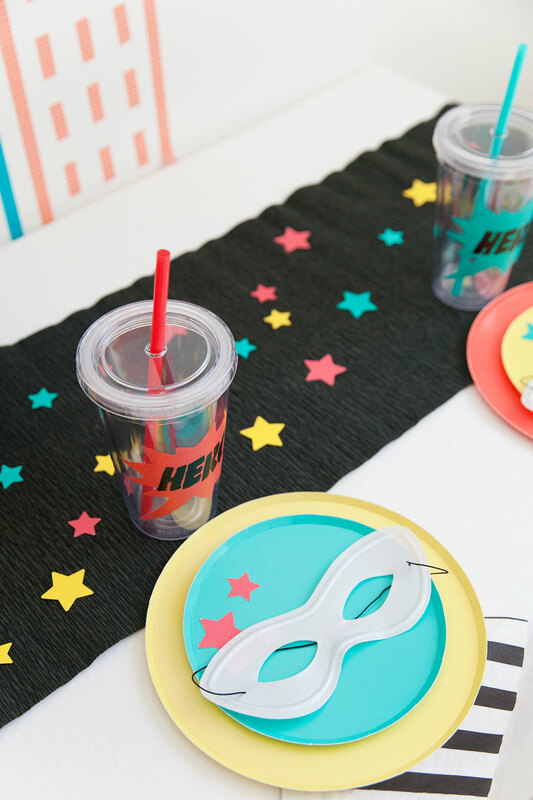 I love a good theme and with my three lively boys a superhero theme party was inevitable. 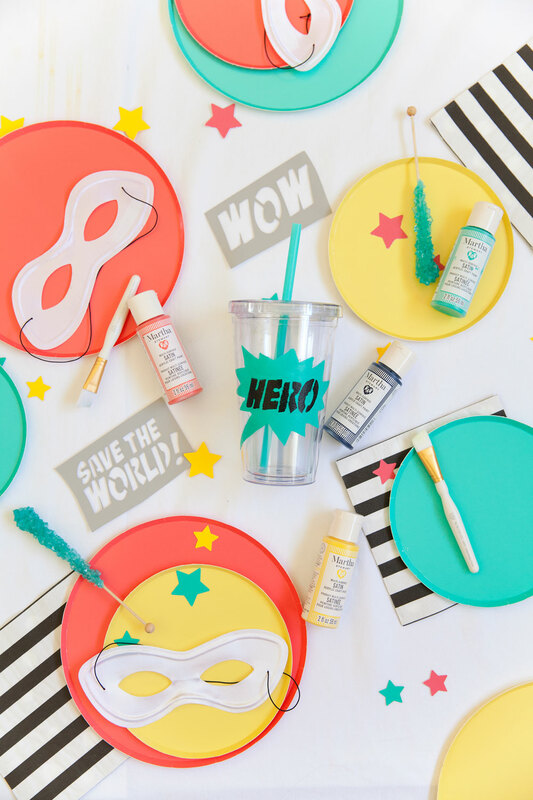 And if you know me you know that I am not a fan of character themed parties so I was SOOO excited about Martha Stewart’s new family friendly craft paints and stencils because they made all my superhero party dreams come true!! The stencils are so dang adorable and their new paints are multi-surface so I had to give them a try! 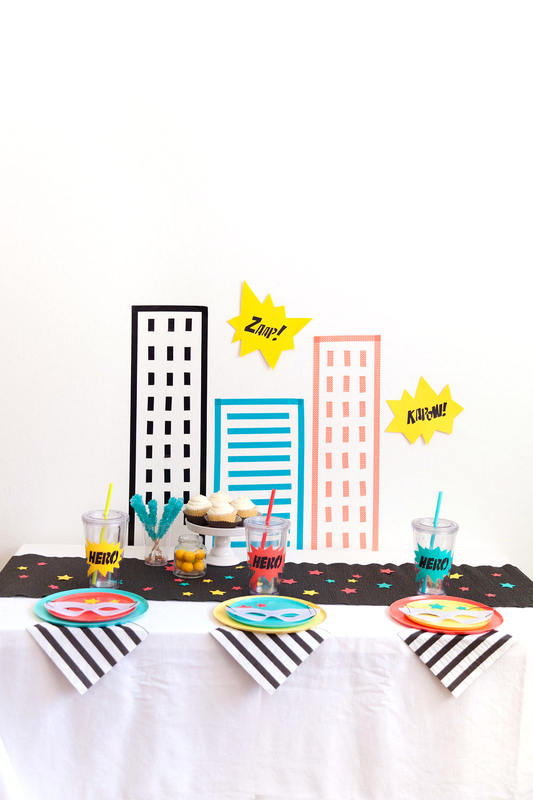 Checkout all the fun DIY’s I made for this simple themed party below. 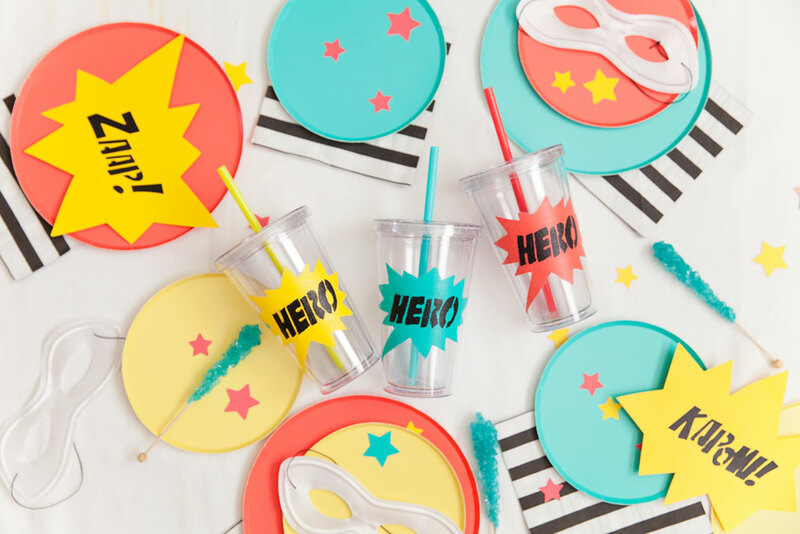 Now onto these simple but oh so cute DIY’s for your party. 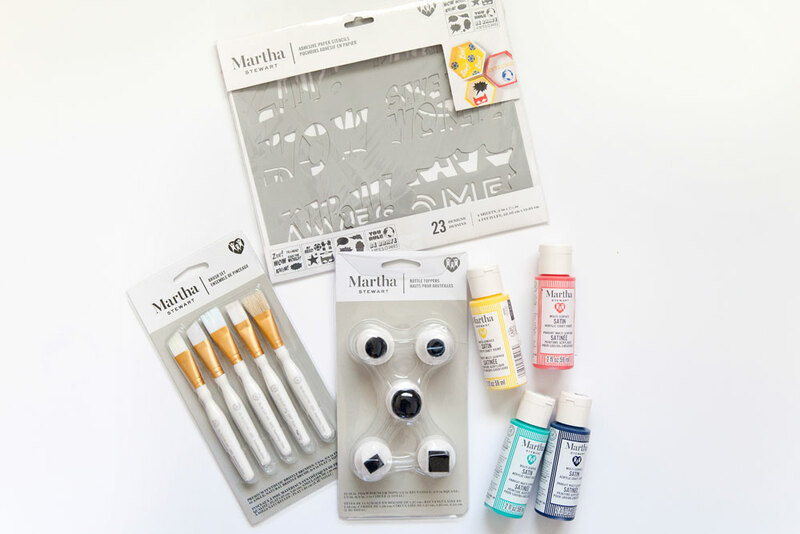 Get all your Martha Stewart stencils, paints and tools exclusively at Michaels. 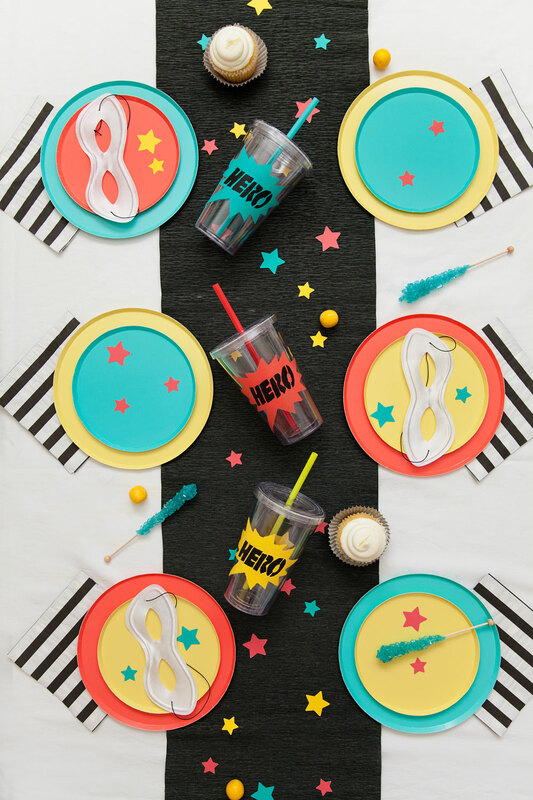 Colors are everything when it comes to planning a party and I knew I wanted a fun color pallet. 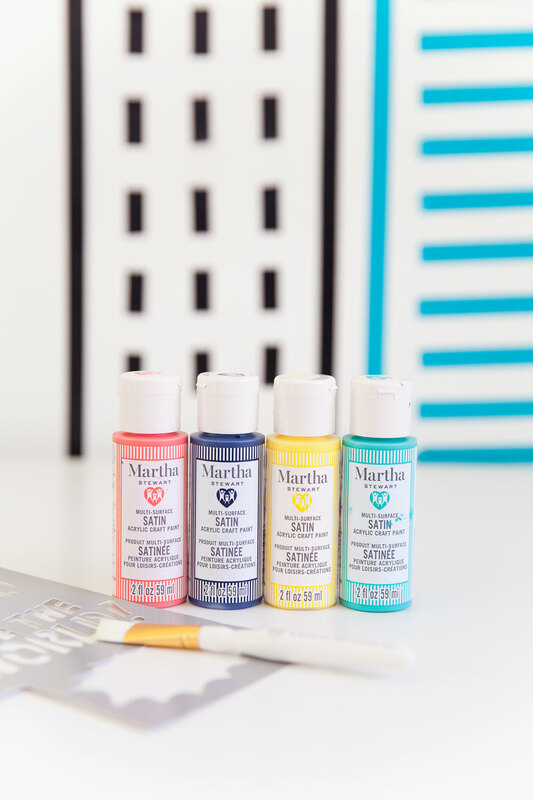 Martha Stewart always delivers when it comes to the most beautiful paint selection. First DIY was to make the cute signs that I taped to the wall. 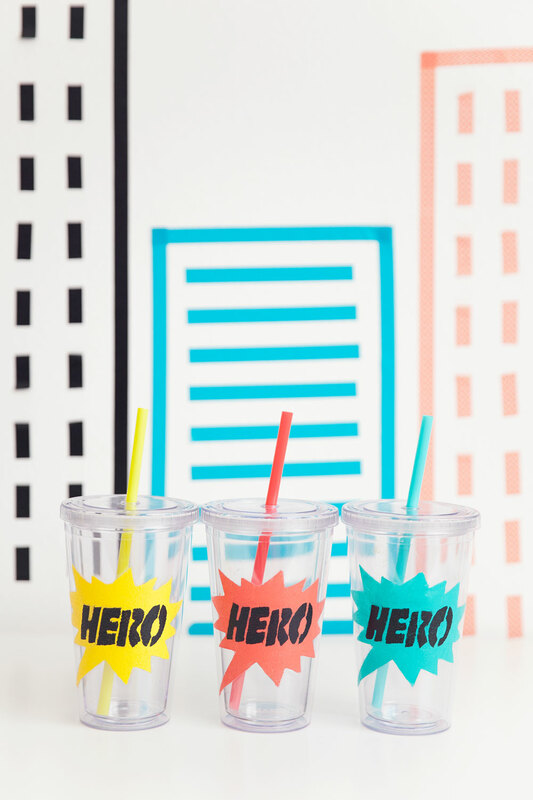 -Get your stencils, cut out what shape you want. -Take your bottle topper brushes and put it on the black paint bottle. -Start blotting your stencil. Make sure all the sides are stuck down and blot from the outside in to prevent bleeding. 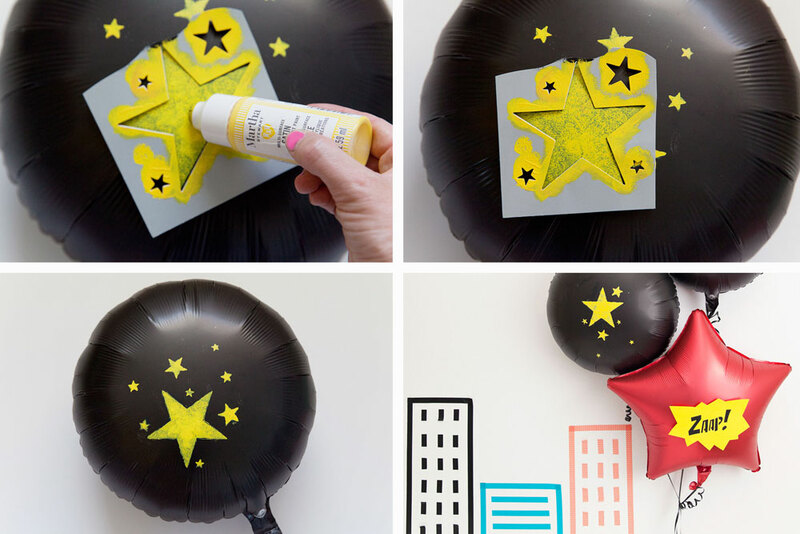 -Cut out a shape around your stencil. 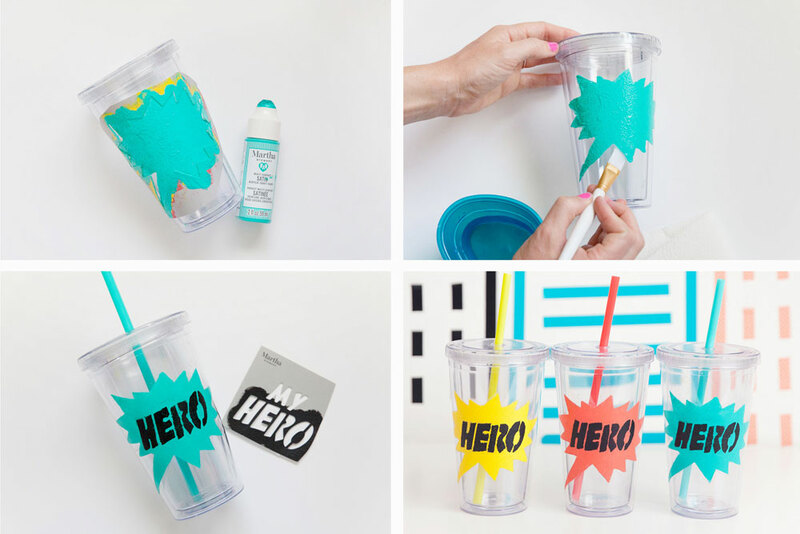 -Cut out your stencil shape. -Then wrap and stick it around the tumbler. Make sure all areas are stuck down well. -Take your bottle topper brushes and put it on your selected color. -Blot from the outside in. -Remove the stencil while the paint is still wet. -Then use your angled paint brush put a little water on your brush and wipe clean any bleeding areas on the tumbler. -This is super easy to do with such a smooth slippery surface, and the angled brush is so great at being precise. -Once dried get your second stencil and stick over your shape. 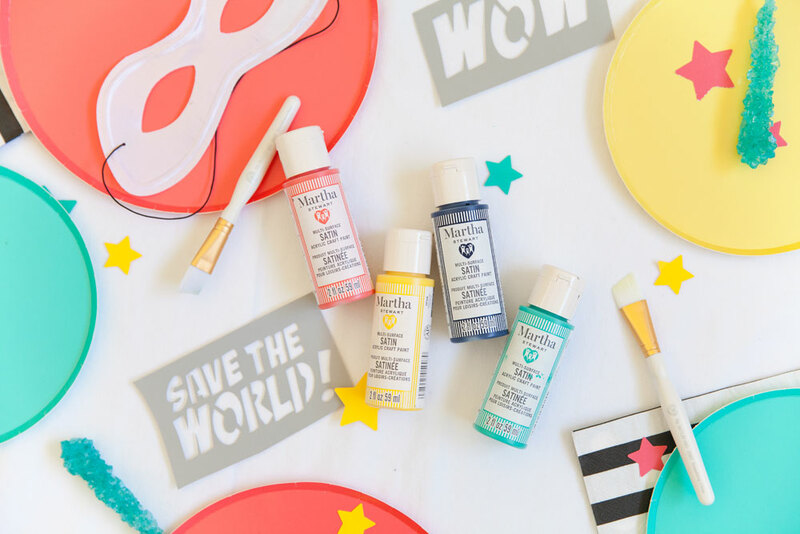 I knew I wanted to add some fun to the mylar balloons and these are so easy to do, I mean who knew you could paint balloons so easily! 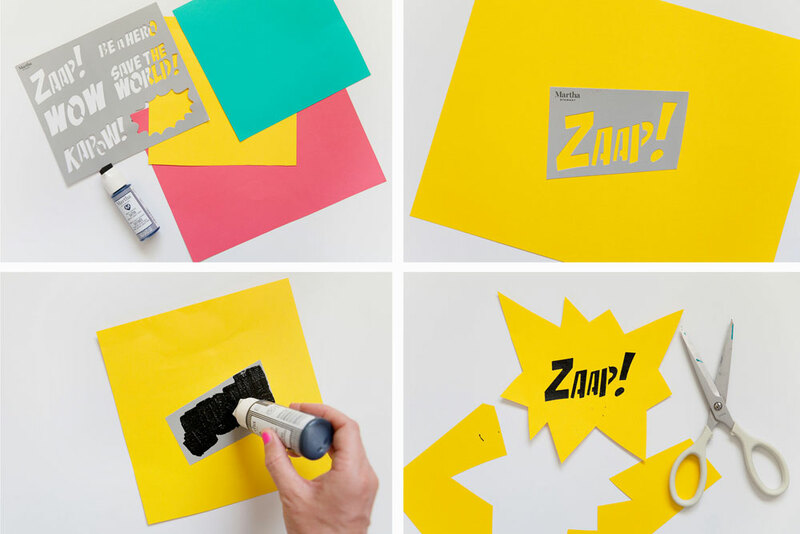 -Cut and stick on your stencil. -Blot using your bottle topper brushes starting from the outside in. 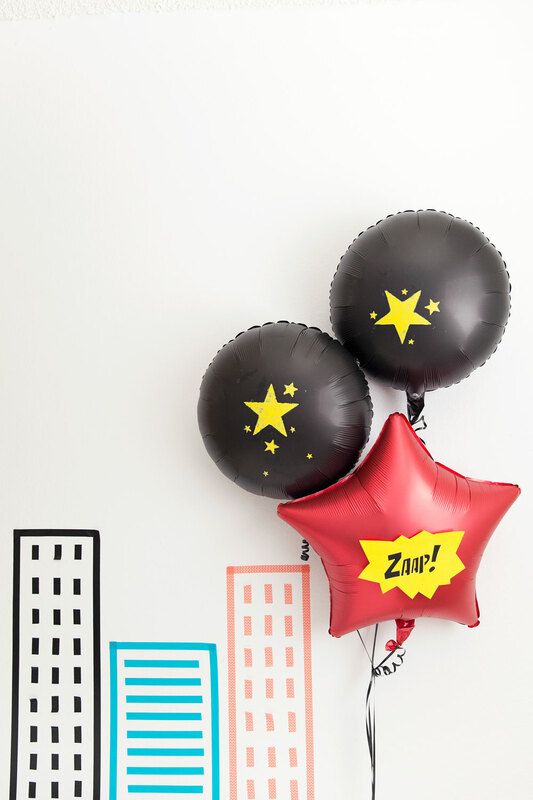 -These stick super easy onto the mylar balloons. Remove and then add more stars. -While all the stars are still wet take your angled paint brush and clean them up. -Let dry and then display! So simple! Now who is ready to party?? 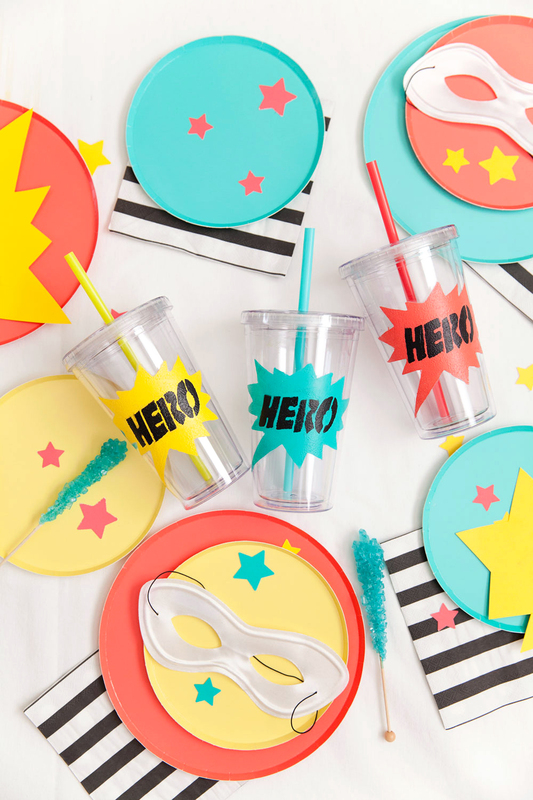 This DIY superhero theme party is sure to be a hit with your kids and pretty cute too. This post is in sponsorship with the Martha Stewart Team and Plaid Crafts. All opinions are my own. I love this theme, and the colours! I think the buildings in the background are a fantastic idea! The buildings in the background might be my favorite part!